Informal Poll: Does “offensive” merch help or hurt a band? The above t-shirt from Dayton, Ohio-based The Paramedic is making waves on the Internet today due to its content. 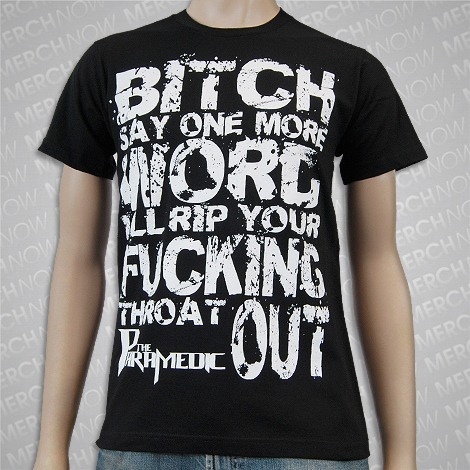 Provocative band merch is nothing new–groups from Asking Alexandria to Oceano to Salt The Wound are known for their merchandise that features profanity, graphic images or in some cases, both. 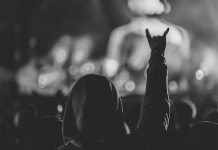 There's no argument that being provocative will get one's band noticed among the crowd–this post is a prime example of that–and one could argue that if these merch designs weren't selling, bands would stop printing them. What do you think, though? We want to hear from both sides–those who have bought and worn merch like this, and those who haven't. Does your opinion of a band change with merch designs like these, and does it change for the better or for the worse? 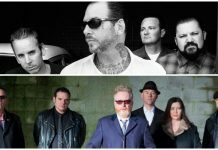 We've reached out to several bands for their takes on this (including those mentioned in this post) and will relay their answers as we get them. In the meantime, give us your thoughts in the comments.